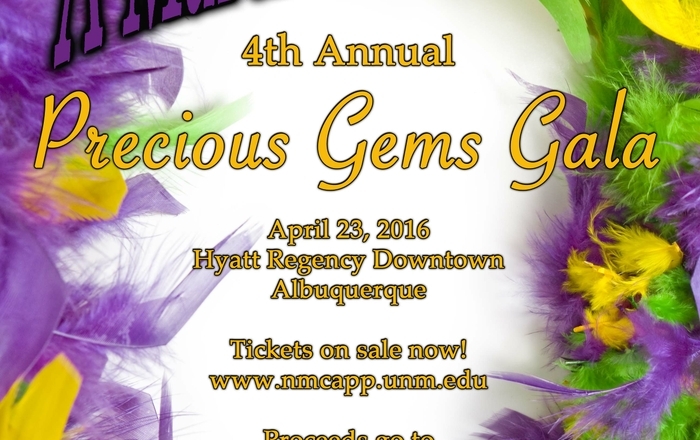 The University of New Mexico’s Child Abuse Prevention Partnership (NM-CAPP) is hosting its fourth annual Precious Gems Gala on April 23, 5:30-10:30 p.m. at the Hyatt Regency Downtown Albuquerque, 330 Tijeras Ave. NW. 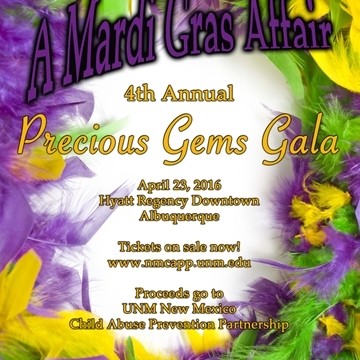 The public is invited to Precious Gems for a Mardi Gras-themed evening of dining and dancing – and a silent auction – to raise funds and awareness for the prevention of child abuse in New Mexico. Tickets are $100 per person, or a table of 10 for $1,000. Proceeds will go directly to NM-CAPP, a group created by UNM Children’s Hospital and Carrie Tingley Hospital physicians and staff who see daily the effects of child abuse in our state. 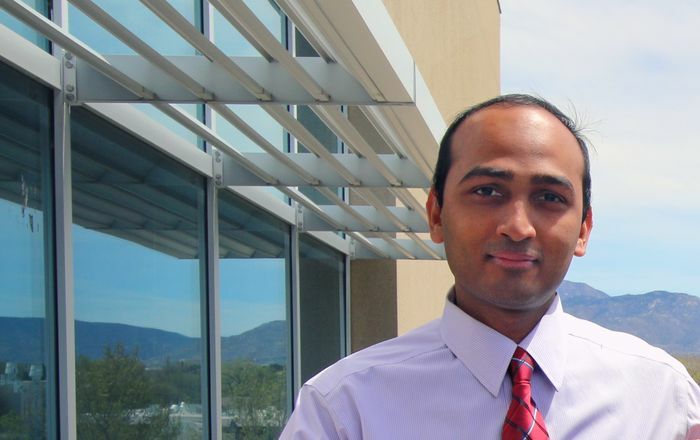 In 2010, New Mexico had the second highest rate of deaths in the nation at 3.74 per 100,000. In 2009, New Mexico had 30,235 total referrals for child abuse and neglect, and 3,328 children were indicated as abused or neglected; a rate of 11.2 per 1,000 children. Recent data culled for 2015 suggests some improvement in New Mexico in the area of child abuse, with sexual abuse decreasing by 4 percent, according to NM-CAPP Executive Director Susan Miller, PsyD. Unfortunately, physical abuse increased by 6 percent, and child neglect increased by 21 percent over the same period, she said. NM-CAPP is a consortium of stakeholders throughout the state, each with its own mission relating to child abuse prevention, coming together to eliminate child abuse. The collaboration of NM-CAPP with more than 200 stakeholder organizations locally and nationally provides a structured, unified, diverse and comprehensive approach to the prevention of child abuse. To advance child abuse awareness and prevention, the organization has produced and aired on network television the documentary “Everyone’s Business – Protecting our Children;” held the New Mexico’s first statewide Train-the-Trainer Child Abuse Prevention Summit, and developed a clinic for child abuse through UNM’s Project ECHO (Extension for Community Healthcare Outcomes) using video teleconferencing to train and recruit new providers in communities across New Mexico. The New Mexico Child Abuse Prevention Partnership provides public awareness regarding child abuse through the use of public service announcements, statewide advertising campaigns and fundraising activities.